This is a really pretty crystal slice necklace. 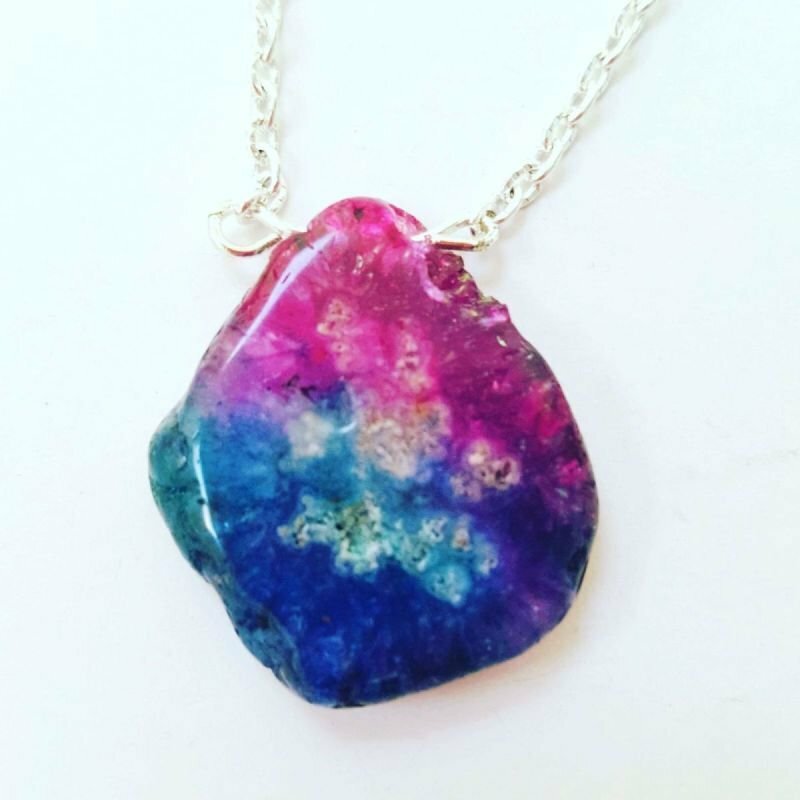 The pendant is a natural solar quartz which is a blue and pink crystal geode, I have complimented it with a dainty silver plated chain which measures 16". The photos don't do this necklace justice, it will go with any outfit, whether it is daytime or evening. Solar quartz is an energy enhancer and is said to bring emotional strength and is great for uplifting the mood!